Naragasooran is an upcoming mystery thriller directed by Dhuruvangal 16 fame Karthick Naren. 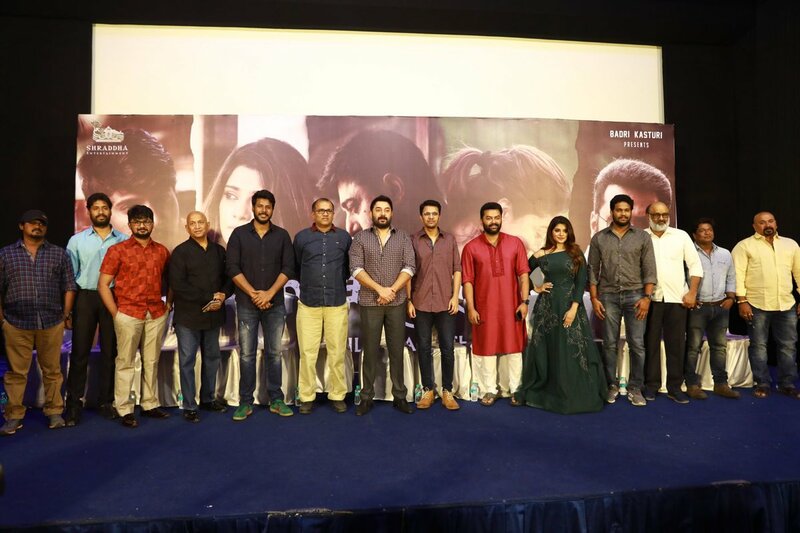 Film stars Arvind Swami, Shriya Saran, Sundeep Kishan, Aathmika and Indrajith in lead roles. Story happens at Ooty and it revolves around five characters digging about a myth on a fallen demon. The trailer of this movie is set to release in online this evening at 5pm. We got a chance to watch the exclusive screening of it this morning at the trailer launch event. It was intense and impressive. The five lead characters try explain the purpose of their presence and an hint about the core plot. Music and technicalities are topical. Arvind Swami seems to have an emotional character with lot of hard moments. Overall, the trailer doesn’t reveal much, but promises a solid mystery thriller. It is known that the movie passed the censor process with an ‘UA’ certificate. 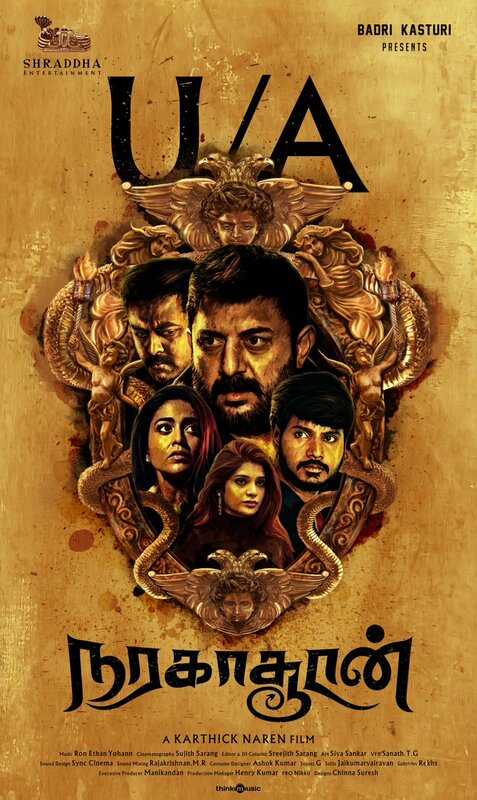 Now the team has announced with the film’s theatrical release date, much awaited Naragasooran will hit the big screens on 31st August.